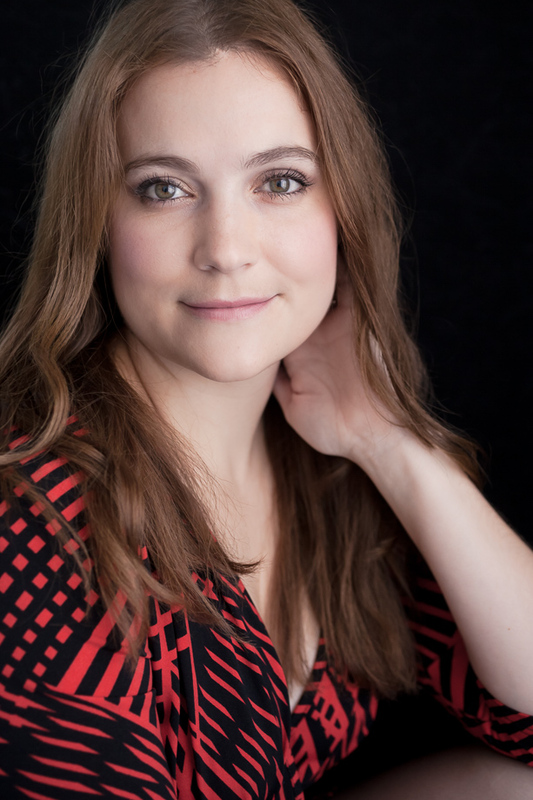 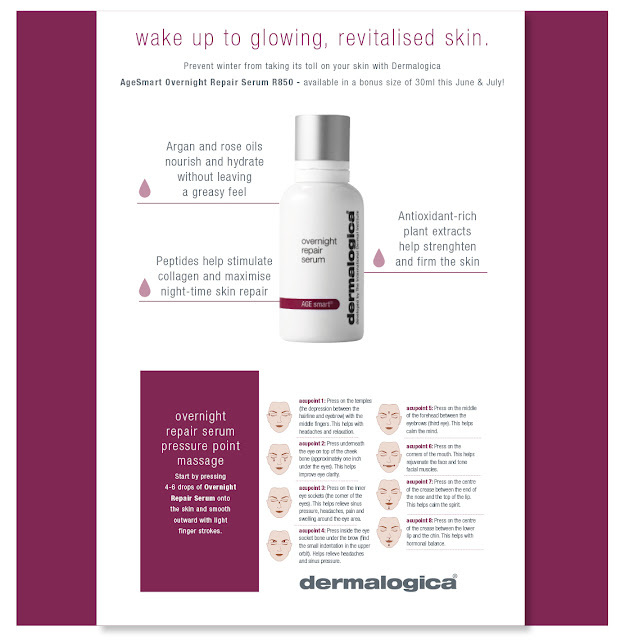 Dermalogica skincare products are among my favourite because they have top quality ingredients and are effective at treating your skin concerns. 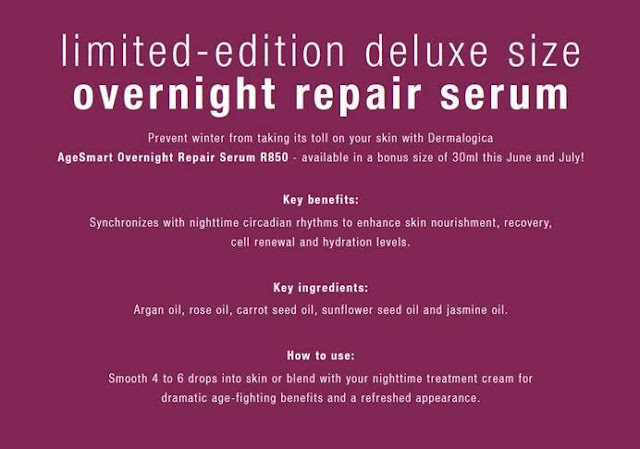 During the month of June and July Dermalogica has a special on their Overnight Serum. 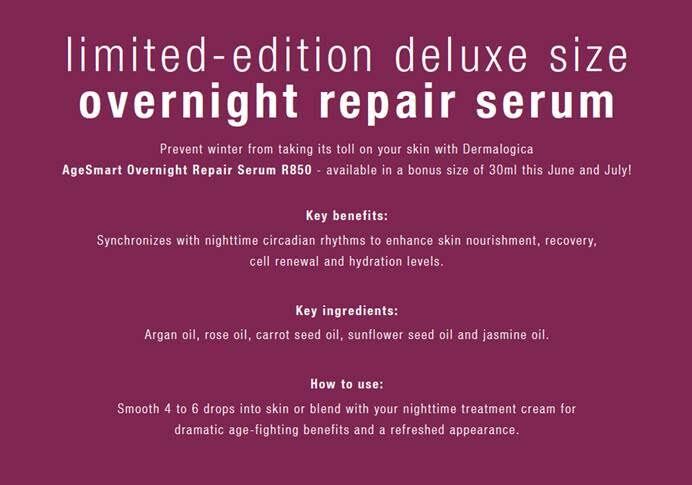 Usually the serum is R850 for 15ml (a steep price for such a small amount) but in July you get a 30ml for R850 which is fantastic for those who love the serum. I haven't yet tried this serum but I will definitely try it out the next time I am close to a Dermalogic stockist.